For those who believe in “Fitness & Hygiene is the Mantra of healthy living” they tend to maintain a fitness routine by creating a Health and Safety Plan Template for themselves. 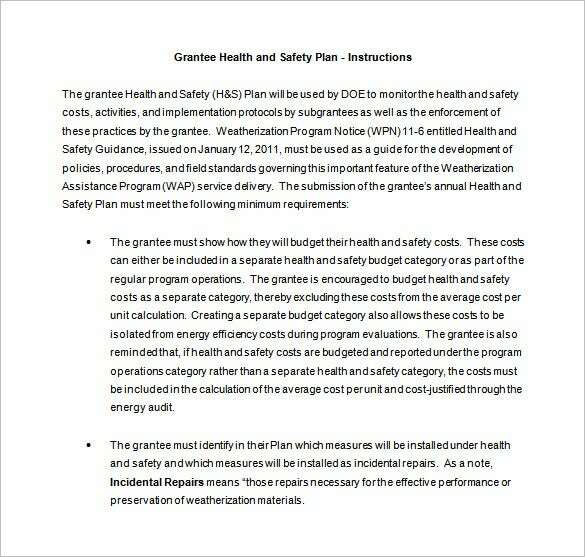 The sample health and safety plan templates mentioned here helps you to be organized and maintain a discipline in your workplace. The template are so professionally designed that it is an absolute fit for your workplace to easily conduct and coordinate safety and health programs. 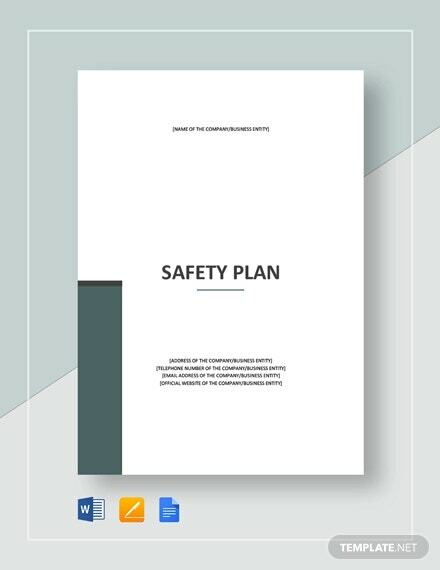 The Work Plan Templates will help you manage health and safety in the workplace systematically, and maintain incident and accident register.You may also see Plan Templates. 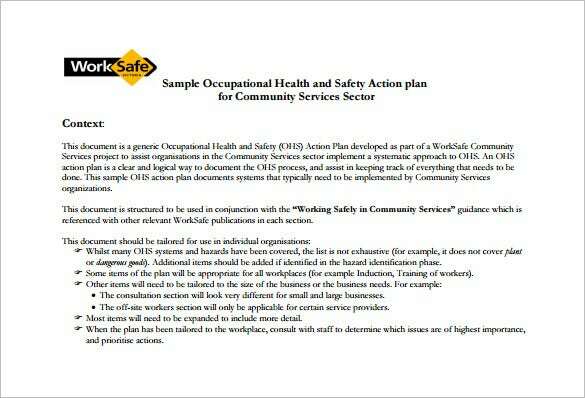 worksafe.vic.gov.au | This Sample Health and Safety Plan Templates are free and easy to work on template. It is available in word format which makes it more users friendly. The form like template provides you the scope to edit and enter your own plan. 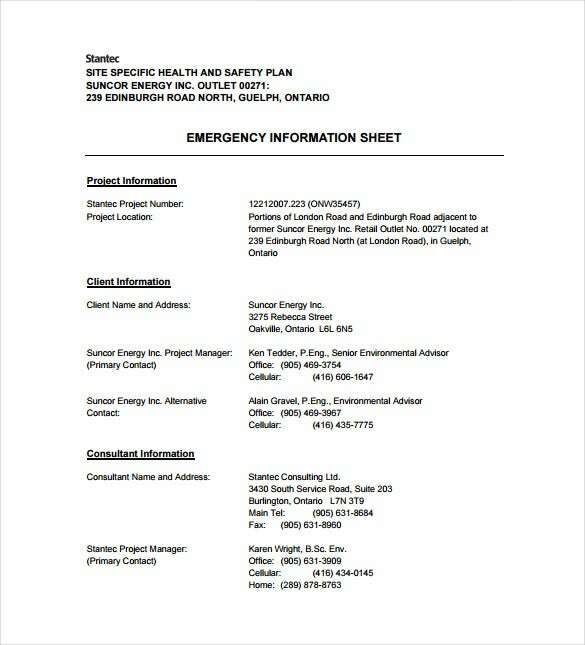 guelph.ca | Site Specific Health and Safety Plan is an free user friendly PDF template. 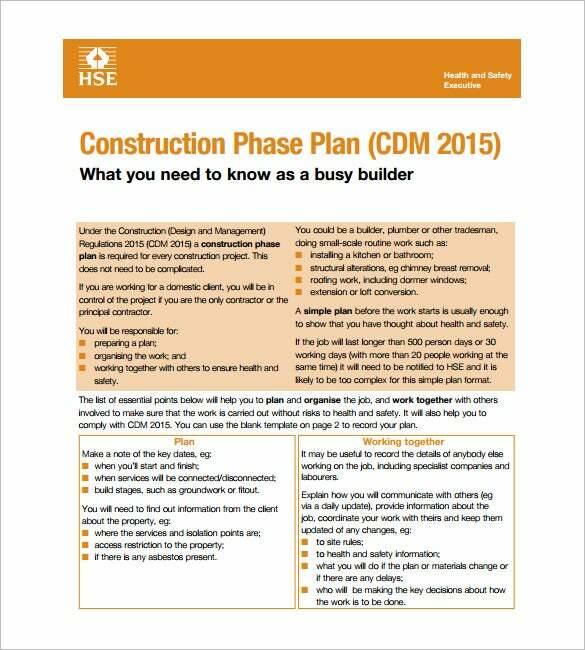 It is an emergency information sheet which help you manage health and safety in the workplace. As a result, you will easily manage and coordinate all safety programs in your organization systematically, and maintain incident and accident register. 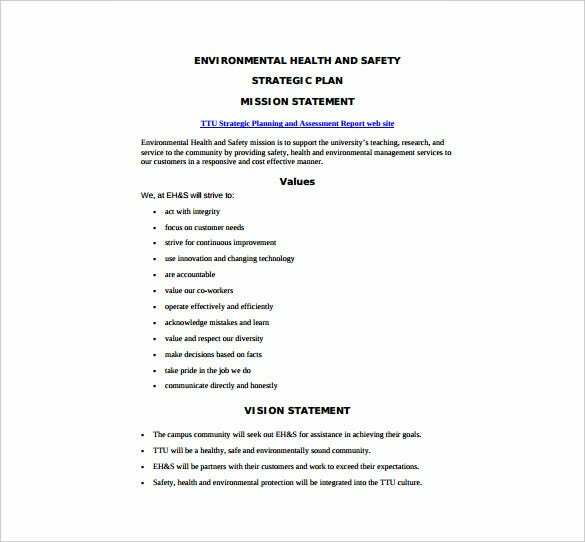 depts.ttu.edu | The Environment Health and Safety Plan template, as the name suggests help you organize and maintain health & safety programs on Environment and related issues. It is a PDF format which you can download and create with ease. You can have a well defined environmental health programs at your workplace with such a well designed template. 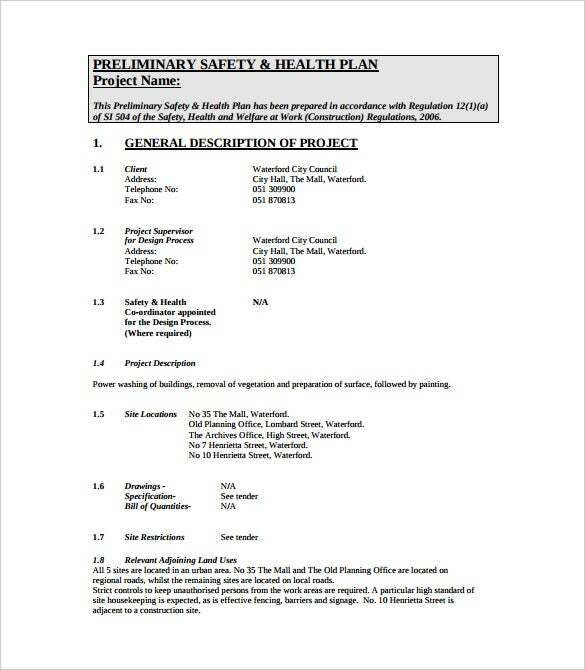 waterfordcity.ie | Preliminary Health & Safety Plan templates is an free user friendly PDF Template Which helps you easily manage and coordinate all safety programs in your organization. 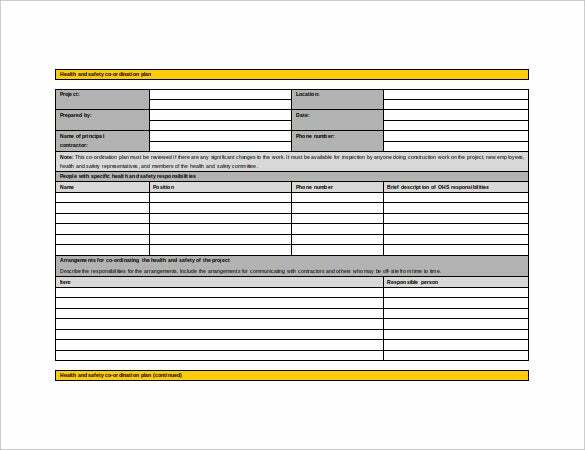 The Template helps you manage health and safety in the workplace systematically, and maintain incident and accident register and thus can help you facilitates better leadership and commitment. 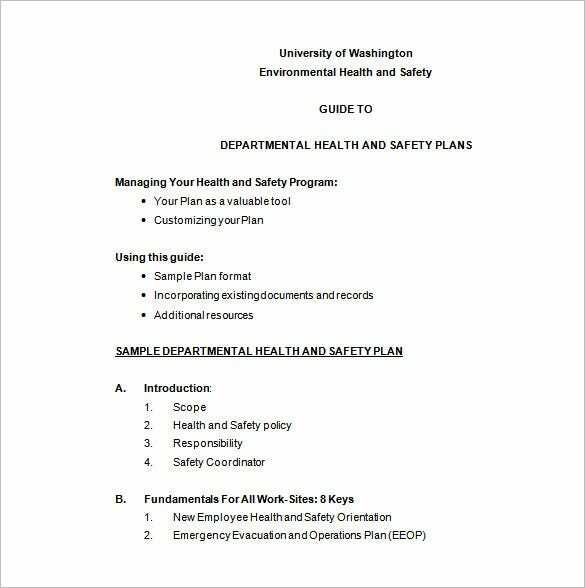 ehs.washington.edu | Departmental Safety and Health Plan is an free word Templates can help you easily manage and coordinate all safety programs in your organization. 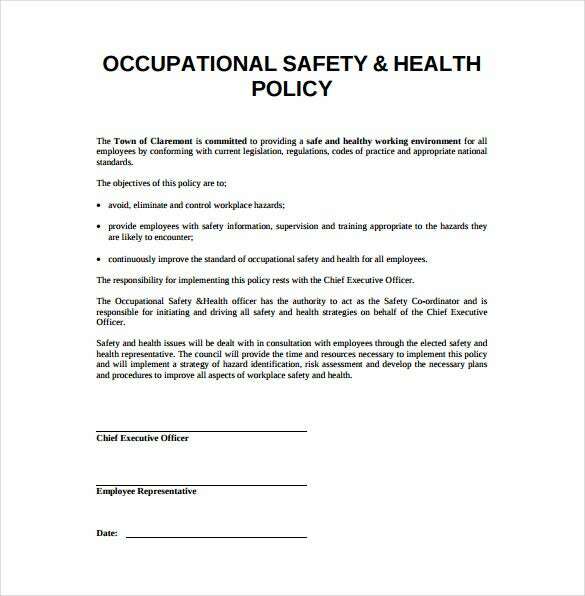 It also help you manage health and safety in the workplace systematically, and maintain incident and accident register and thus facilitates better leadership and commitment in your department. claremont.wa.gov.au | Working in a manufacturing unit or some mining unit is very hazardous and risky too. This kind of workplace and workers needs to be well protected by Health and Safety programs. 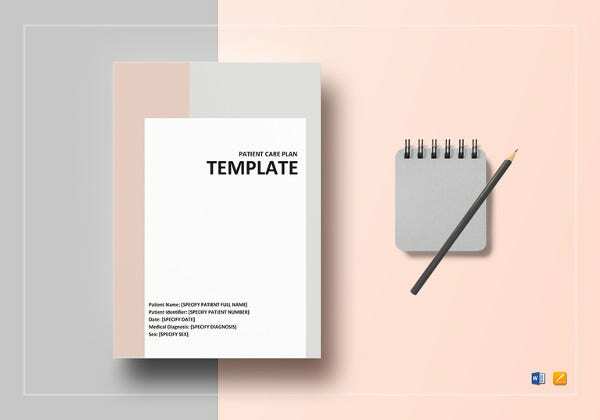 This template mentioned here is such a template that keeps the purpose in mind while designing. 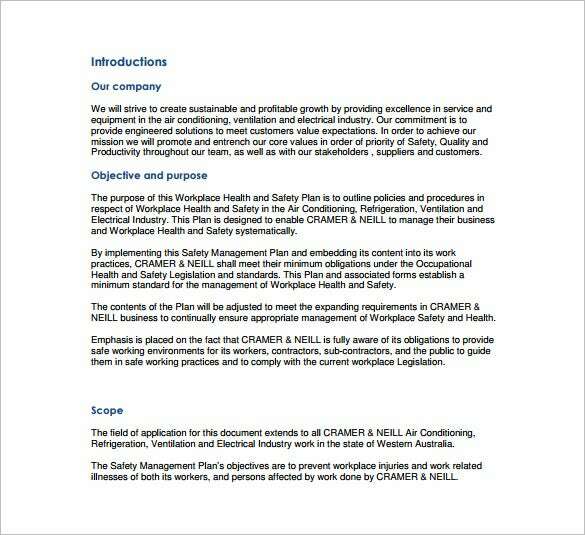 > How to make a Health & Safety Plan successful? Most of the workplaces have one or another safety and health issues associated. So to formulate a safety plan and maintain harmony among workers and employee and employer and ensure visitors safety becomes mandatory. 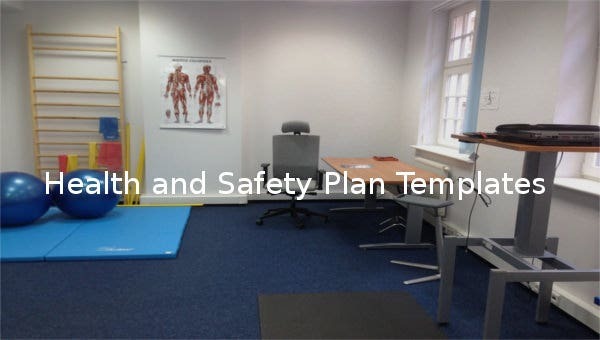 To work out a plan here are three steps, following which you may have a balanced health and safety rules in your office. Firstly, you have to identify the risks and hazards associated with the type of work being done at your office or site. To do this you need to meet your staff and look for the current and probable risk factors prevailing in your workplace. This needs to be a continuous process and you need to return on a regular basis to them. 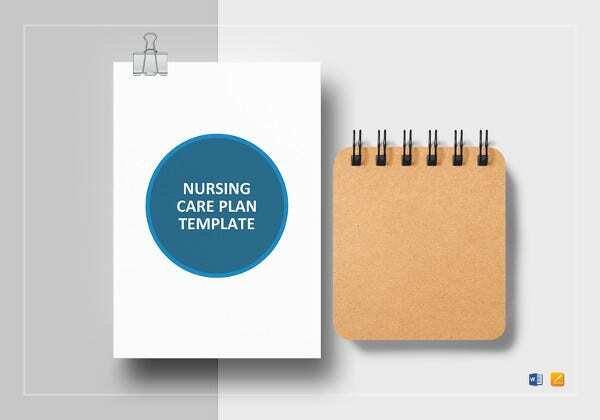 Secondly, decide and plan a template which would help you with procedure to tackle with the hazards by isolating or minimizing the risk factors followed by monitoring of the process. Thirdly, plunge in to action on the plan by committing on it. Commitment should start from you and followed by your co-workers. 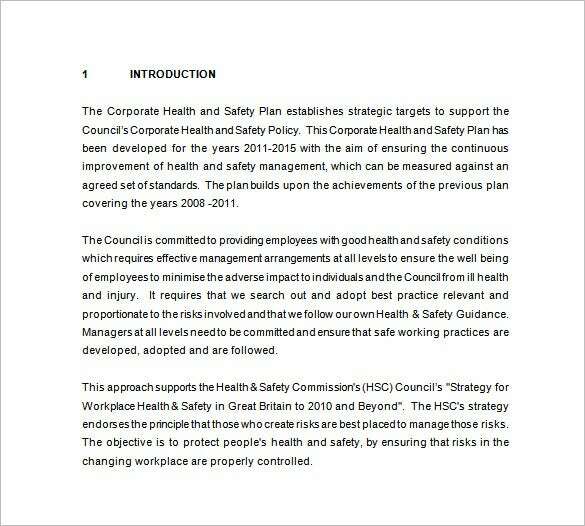 There are several proven benefits of such Health and Safety plan templates mentioned here. It acts like a morale enhancer by making the workers healthy and happy at work. It increases the motivation in workers. You have to innovate to stay in the race. When the employee’s basic needs are taken care of they will also look for your benefit and can concentrate on innovations in your industry. It also helps in building team spirit among workers. It has proven records in enhancing employee retention as well as new employee attraction. 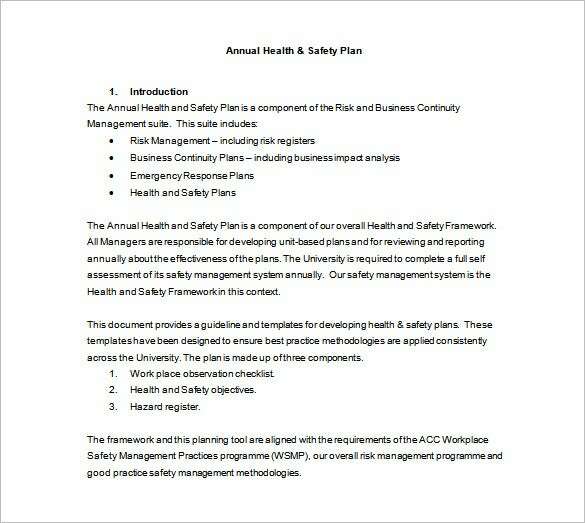 To avoid workplace risks and hazards a health and safety plan template has no match. Systematically following the plan with full participation of the workers is sure to bring positive results in any given situation.